Football is one of the most beloved and followed sports of the entire globe. It has fans for every place: Spain, Portugal, Italy, Russia, England… Even China. Does women football deserve a spotlight in the dream of China of becoming a “world-class footballing ambition”? Where’s the money to promote women’s football? As it is right now, billions of pounds are being spent on football stadiums in areas where there are no teams to fill them. For example, the average attendance of Zhejiang Yiteng, founded 24 years ago, is 4,000 people, but the capacity of the stadium extends to 60,000. Still, not all is bad in China. Men’s football is “ok” but, in terms of elite football, China’s Women’s team offers a whole different narrative. Playing their first international match in 1986, the past 30 years of women’s football history in China has been punctuated with titles in regional cups, and some near misses in the World Cup (notably 1999). The women’s team sits at number 17th position in the FIFA/Coca-Cola World Rankings; while the men dropped to 73rd position in the Rankings after President Xi announced his football plan four years ago. They came third in the Asia Football Cup last year, beating hosts Jordan comprehensively 8-1. Whilst the men’s team has become something of a national embarrassment, the women’s team goes from strength to strength. Why is not being promoted as such? Whilst the professional game is doing well, the grassroots game is also growing. As in the UK, the numbers of girls participating in football is increasing year on year. The high quality of female football was noted during CBFC’s visit with Nottingham Forest’s to Zhejiang in September 2018. It was remarked that Ningbo girls team level of football was higher than that in Nottingham and that their attitude compared with the boy’s teams, was different. Unfortunately, this is where women’s football is defeated in China. Not on the pitch, but in the homes, schools, and government. The reason behind not being relevant is the strictness of the Chinese government towards women for years. Even if women’s football is really good, they’re not going to promote it “all the way” as they might do with its male counterpart, even if they’re better than them. But that needs to change. 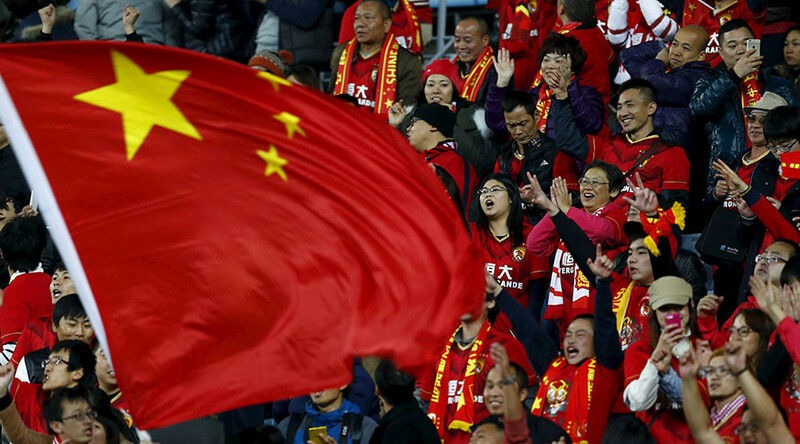 Women’s football can help China’s economy and popularity in many ways. It’s true that it’s easy to criticize Chinese football and how they’re dealing with things, but compared to western nations that have played the sport for well over a century, football in its modern form is new. Clearly, it has come a long way in terms of infrastructure, opportunity, and professionalism. As I said, whilst China’s men’s team struggles to grow professionally, the country would do well to focus more of its attention on the women’s side where there are a growing number of success stories that will fuel the continued rise of the sport.